Listing courtesy of WIREX_RANW / Metropolitan Building Concepts, Inc.
Hwy 76 - West on Highway JJ. South on Chapel Hill Drive - West on Angle Hill Drive to Heavenly Drive. Includes Range, Refrigerator, Microwave, Dishwasher and Softener. Hello, I’m interested in N2381 HEAVENLY DRIVE and would like to take a look around. 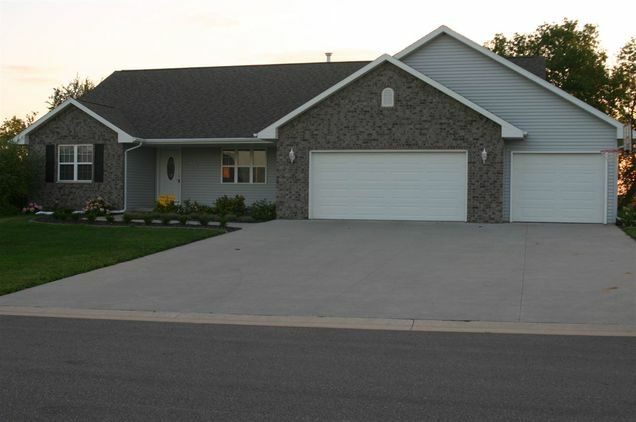 The details on N2381 HEAVENLY DRIVE: This house located in Greenville, WI 54942 is currently for sale for $319,900. N2381 HEAVENLY DRIVE is a 2,000 square foot house with 4 beds and 2 baths that has been on Estately for 180 days. This house is in the attendance area of North Greenville Elementary School, Greenville Middle School, and Hortonville High School. Listing Courtesy of: WIREX_RANW and Metropolitan Building Concepts, Inc..